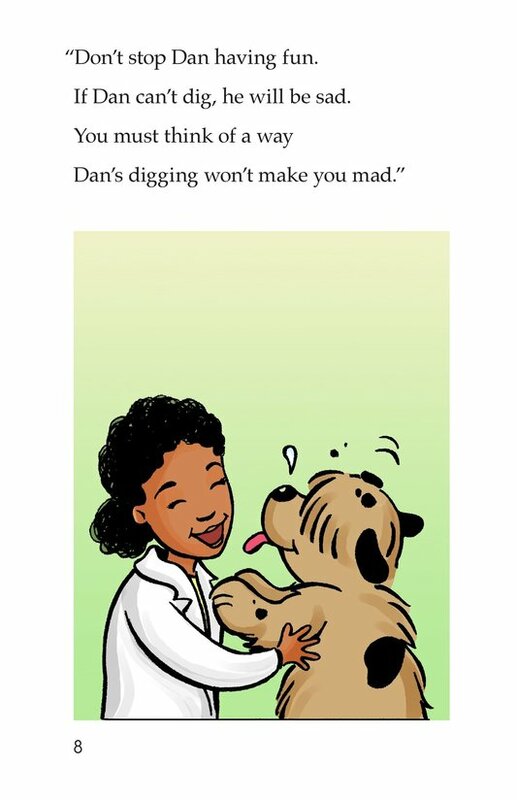 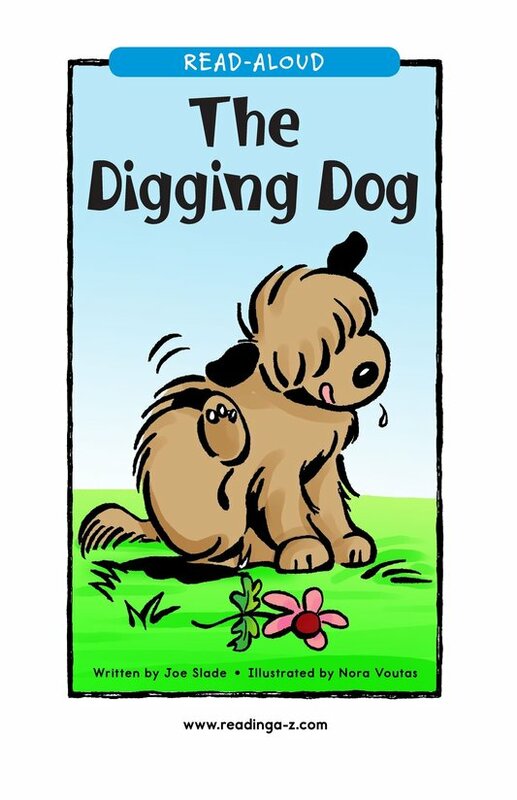 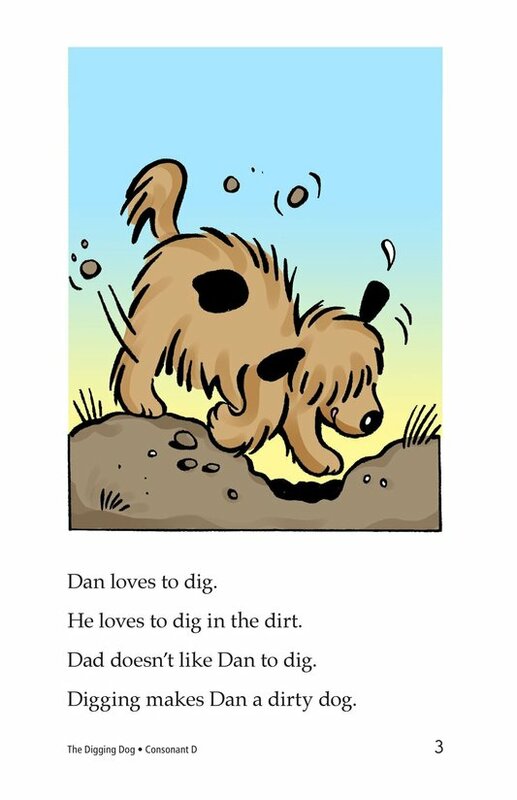 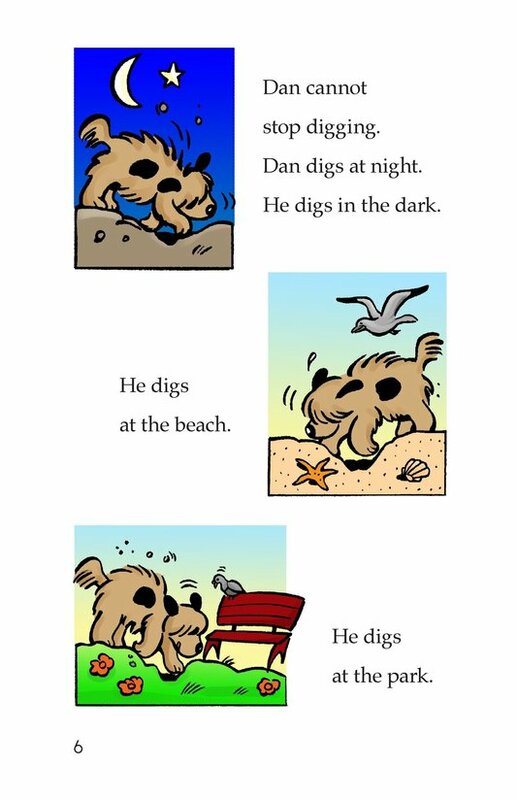 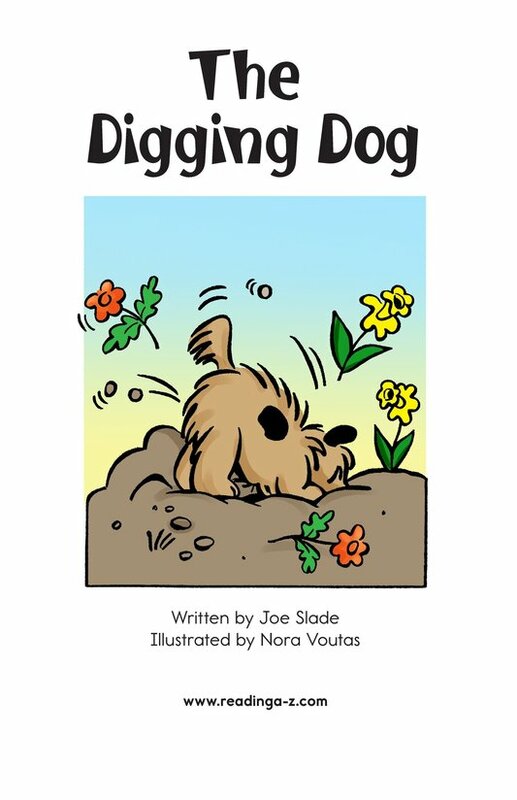 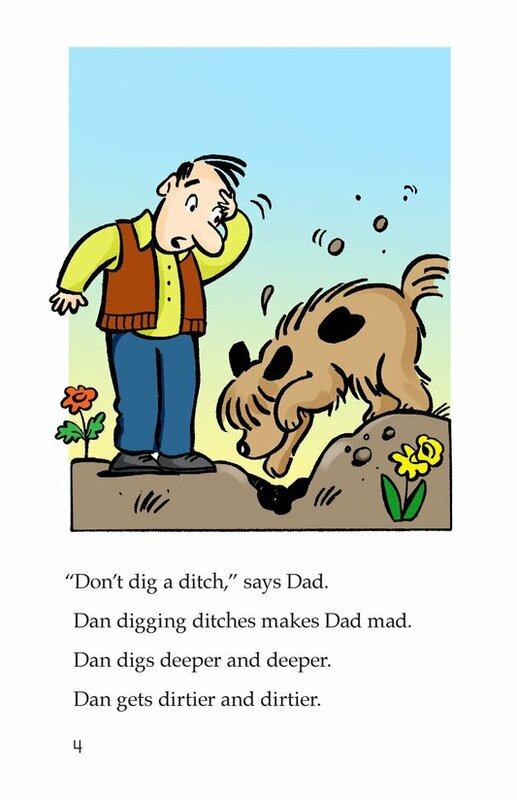 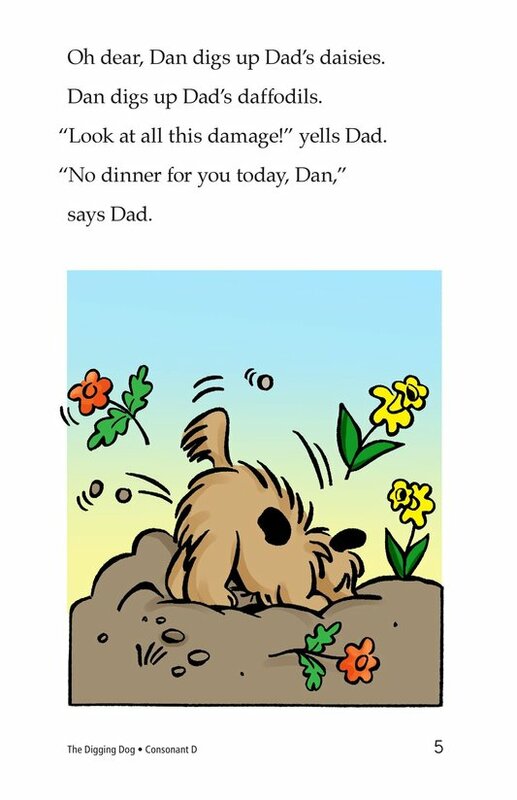 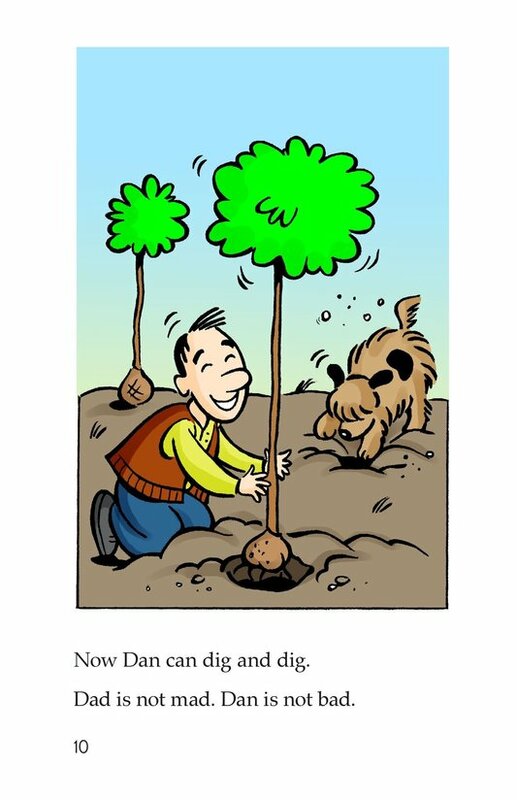 Dan the dog loves to dig, but his digging makes his owner mad. 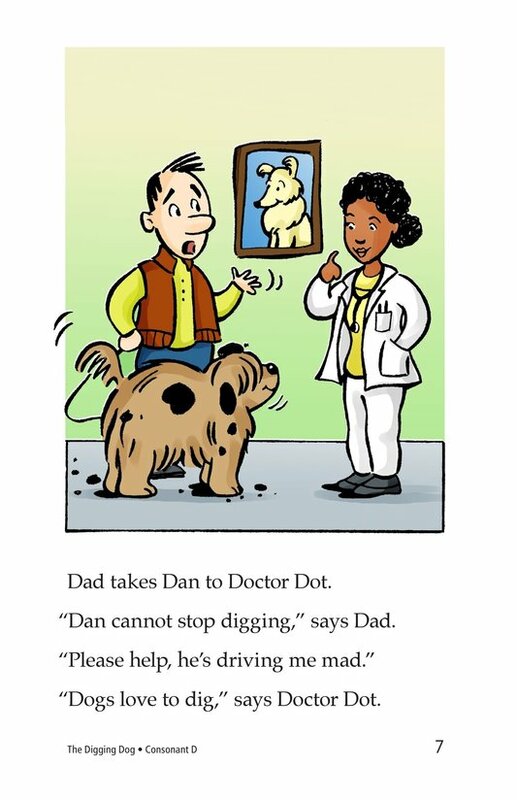 His owner takes him to the vet, and the vet helps them come up with a solution that makes both Dan and his owner happy. 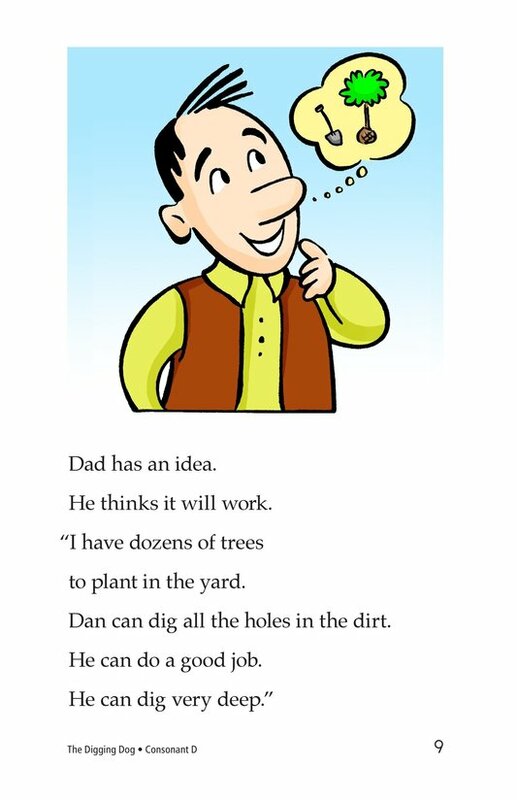 Dan digs the holes to plant new trees in the backyard. 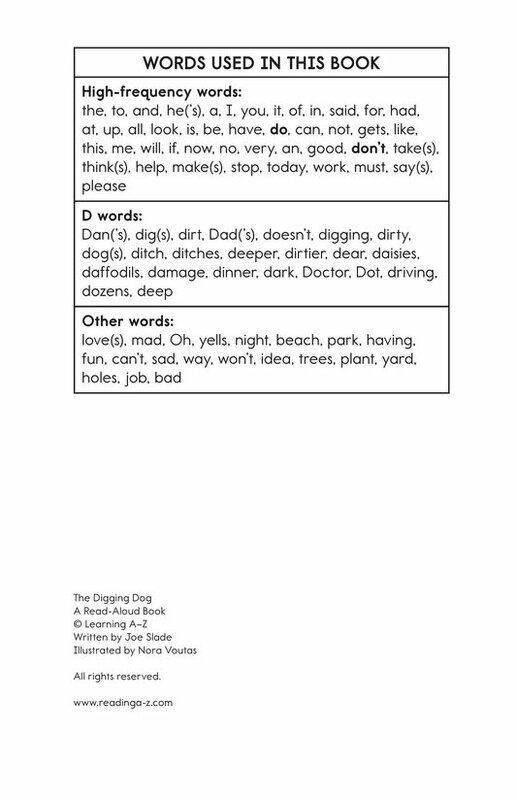 Introduce and expose students to the /d/ sound represented by the letter d.